2018 Monster Energy Cup Presale! Ladies and Gentlemen, you do not want to miss the only Supercross race in the world for $1,000,000 in fabulous Las Vegas, Nevada! The Monster Energy Supercross "All Star Race" consists of the top amateur talent in the world, and offers a unique experience to view the sport from the little guys in the 50cc KTM Junior Supercross Challenge class all the way to the best Supercross racers in the world in the Cup class. Preferred Customers: Get your Monster Energy Cup tickets BEFORE the general public! ACT FAST! Presale ends May 7th! 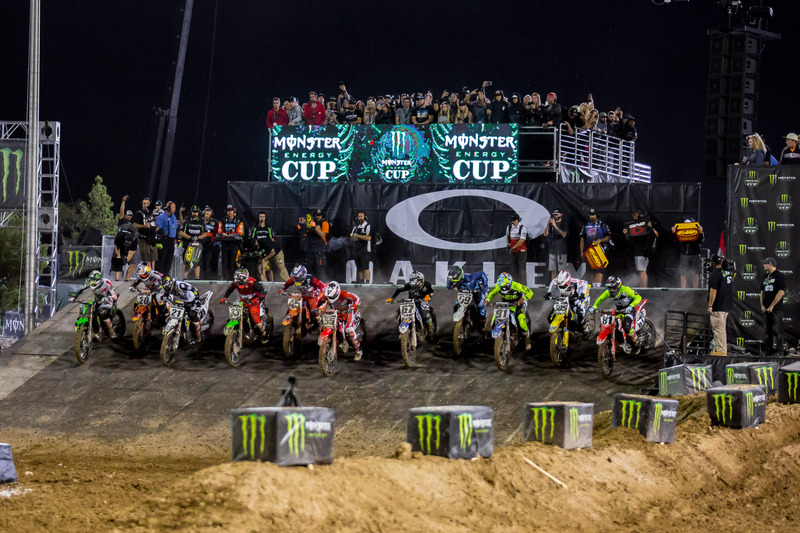 The Monster Energy Cup showcases the world’s top Supercross riders in a head-to-head battle for the coveted Monster Energy Cup and the chance to win $1 million, the largest prize in motorcycle racing. The Pit Party offers a full day of entertainment including athlete autographs, freestyle motocross, and experiential elements. It’s a unique experience in the world of motorsports. Pit passes are $20 each through UNLVtickets.com. Or get FREE access by simply recycling an empty can of Monster Energy on site. Restrictions and additional charges may apply. Pit pass must be accompanied by an event ticket.